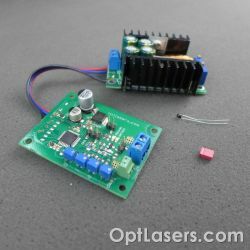 Temperature controllers and cooling modules are very important parts of any laser devices using diodes. 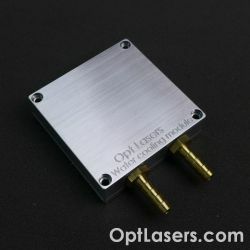 This is due to the fact that the regulation of the operating temperature of the laser diode is crucial for its lifetime. 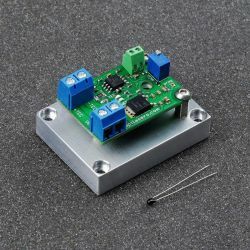 It is necessary to provide a very efficient cooling or a choice of compromise between the life of the diode and the performance of the device. when setting the operating parameters for each professionally used laser system. 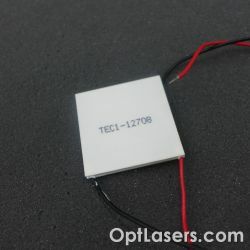 For the optimal cooling, Opt Lasers offers many types of TEC controllers, cooling modules, and Peltier modules (TEC modules). TEC modules are the heart of most temperature control systems. This is an improved digital temperature controller with the possibility to change parameters and read them using UART port. This version can COOL only. 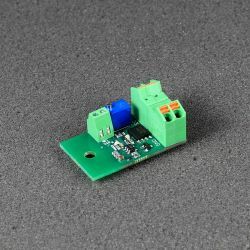 The device is equipped with the DC-DC converter which allows adjusting the TEC voltage in the 3 - 32 V range. Product available upon special request. Please contact us for details. 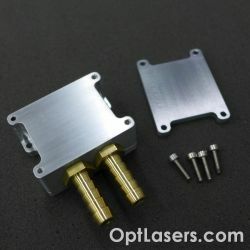 This water cooling block plate is useful for laser diode cooling, laboratory instruments, medical products, recirculating chillers. 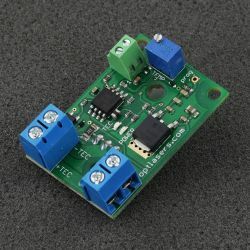 This is an improved digital temperature controller with the possibility to change parameters and read them using UART port. 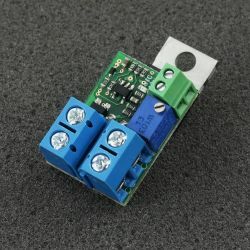 This is an improved digital temperature controller. This is an advanced TEC controller using a microprocessor unit. 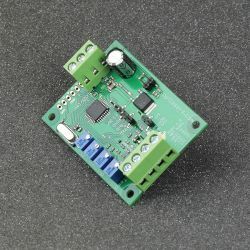 This is a simple TEC controller consisting of analog elements and a very small PCB board. This is the TEC module 8 A. 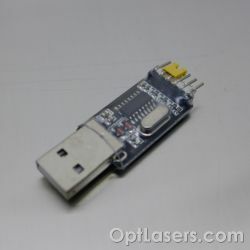 This is a USB - RS232 TTL converter dedicated to TEC controller 7-15 V, 0-8 A.